The World War Two section is now accepting advertising. 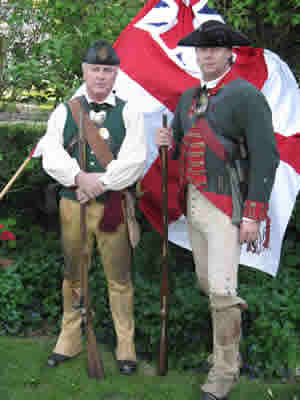 The Butler’s Rangers were formed in 1777 by Colonel John Butler, during the American Revolution they continued to fight along side their allies and friends, the Haudenosaunee until they were disbanded in 1784. 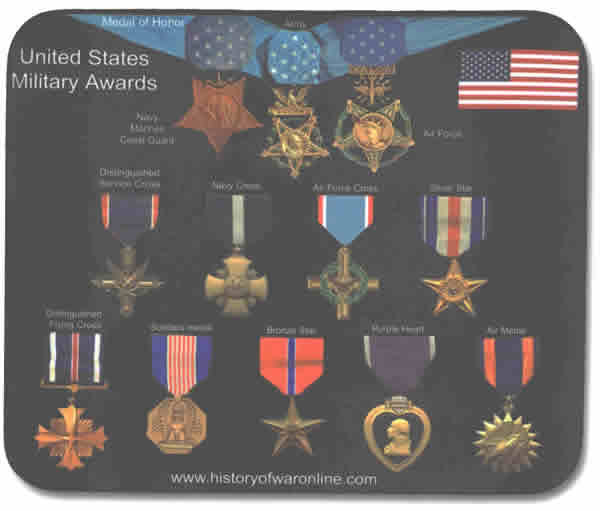 They were the “shock troops” of their day and were the toughest, roughest and most focused soldiers of their time. Taught well by their Haudenosaunee (Iroquois) friends they were able to endure great hardship in a huge territory from Detroit to Albany and hundreds of miles south of the Great Lakes . These Ranger’s, green coated and buckskin clad men, were almost shadows rather than flesh and blood. Certainly the rebellion was not forfeited by them as they never lost a major battle. At the end of the American Revolution the Haudenosaunee (Six Nations) ancestral territory was simply negotiated away, without consultation with the Confederacy, forcing many to move on to land given to them by the Crown north, east and west into what is now known as Canada. Even though the British were no longer at war with their rebellious cousins the Six Nations still clung to the possibility that they would be supported by the British if they continued to fight. Tired, outnumbered, no alliances outside of a few other First Nations the Six Nations yielded to the inevitable and were slowly and painfully robbed of their lands. These warriors, both Haudenosaunee and Butler ’s Rangers, continued a friendship that lasted throughout the war of 1812. Though not officially Butlers Rangers during that period the ex-rangers of the American Revolution still maintained their friendship and alliances with their Haudenosaunee allies ( Caldwell ’s Rangers). The Ancestral friendship is maintained today with the recreation of the Butler ’s Rangers and the only sanctioned Mohawk re-enactment group known as The British Native Allies, lead by our friend Okwaho. We, the (Canadian) Butlers Rangers of the North have developed a great friendship with our fellow re-enactors (men, women and children) in the United States . Not only are we solid members of the Northern Brigade in Canada but of the British Brigade in the U.S.A. For years we have met at events and share our campfires, stories, history and the love of our hobby. We cherish that friendship very much. This unbroken contact has allowed all the rangers units, McDonell’s and the rangers companies in the U.S. to keep current on matters of historical importance and maintain the integrity of the ranger ancestors. The remains of one of the last Australian soldiers missing in action in Vietnam have been found at the crash site of a helicopter shot down in April 1971. Free ! Upload to the Gallery, military related photos of yourself or a relative. Please do not upload copyrighted material without their prior consent. Upcoming events for 2010 Company "F" of the 2nd California Cavalry, recreates and honors the original Company raised in the Sacramento area. The first organized ambulance corps were used in the Peninsular campaign and at Antietam. The U.S.S. Kearsarge sank the C.S.S. Alabama off the coast of Cherbourg, France, in a fierce engagement. Frenchmen gathered along the beach to witness the battle and Renoir painted the scene, which now hangs in a Philadelphia art gallery. 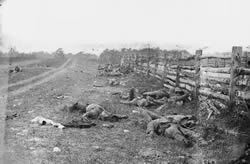 General Grant's losses from the Wilderness to Cold Harbor in 1864, a period of 29 days, totaled 54,900. Besides their captures, Confederate cruisers drove great numbers of U.S. ships under foreign flags for protection, precipitating the decline of the U.S. Merchant Marine. The greatest US naval loss of life at sea was the sinking of the cruiser Indianapolis. Nearly 900 men were lost, mostly to sharks. The last major US ship lost in the war, the 'Indie' was returning to Tinian island having delivered the uranium used in the atom bomb dropped on Hiroshima when she was torpedoed by the Japanese sub I-58. The 'Indies' mission was so secret, it was several days before she was even listed as missing and details of the tragedy were covered up for many years after the war. After the U.S. shot down Admiral Yamamoto's plane with the help of the British Ultra Code-breaking team, American fighter pilots talked over the air so much about the incident that the Japanese suspected their codes had been broken and immediately changed them. It took another four months to break the new codes! The Germans succeeded in destroying approximately 2,000 Russian planes during the first 72 hours of Operation Barbarossa. Established 22 December 1942. Awarded to all servicemen of the Soviet Army, Navy, Ministry of Internal Affairs, and civil citizens who took part in the defense of Leningrad.The famous siege of Leningrad lasted for 900 days, beginning 8 September 1941 until 27 January 1944. German forces blockaded the city in an attempt to starve the resistant inhabitants into submission. Famine was rampant. Despite being outnumbered in weapons and men, Leningrad defenders fought building to building under heavy artillery fire and air bombardment. Soviet fighters began an offensive on 14 January 1944, and the blockade of the city ended on 27 January 1944. Leningrad was awarded the Title of "Hero City" on 1 May 1945, and is one of only four "Hero Cities" in the USSR (the others being Sevastopol, Stalingrad, and Odessa.) It is made of brass. Approximately 1,496,000 were issued. Gladius is a Latin word for sword. Early ancient Roman swords were similar to those used by the Greeks. From the 3rd century BC, the Romans adopted swords similar to those used by the Celtiberians and others during the conquest of Hispania.